I have a massive sweet tooth, and even though l admit I’m not a huge fan of baking, I do love to do it once in a great while. These cookies are something I bake up for my boys when the mood hits, since they are full of healthy ingredients, but also because they are good for me. I recently started using almond flour and coconut flour in my baked goods to keep things gluten-free, but they also happen to add wonderful flavors to these cookies. Make sure you follow the directions if using coconut flour. If you aren’t familiar with it, this flour is highly absorbent and can easily wreck your goodies if you don’t use it correctly. And don’t worry about the flours having overpowering flavors — they are mild and lend a really nice background to these healthy cookies. These delicious, organic, vegan and gluten-free cookies are chock-full of oats, almond butter and almond and coconut flours, and they are sweetened with coconut sugar. 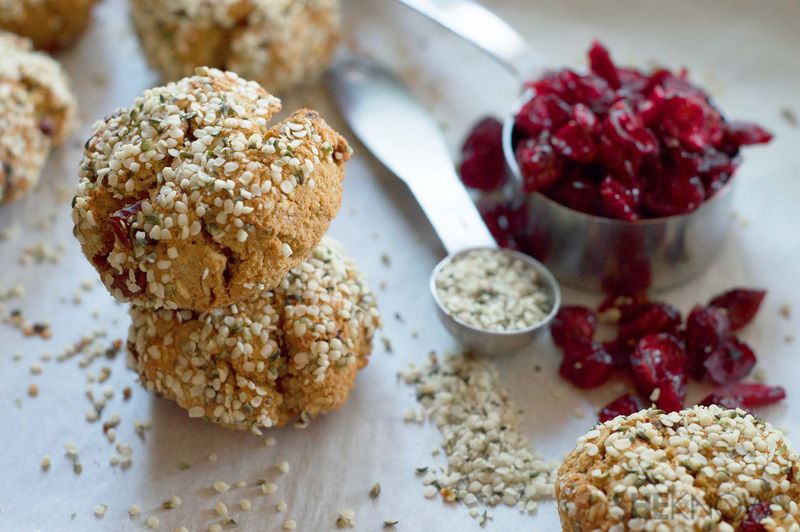 They are also full of protein-rich hempseeds and dried cranberries. To a separate bowl, add all the wet ingredients, and mix very well. Fold the soaked flaxseed mixture along with the wet ingredients into the dry ingredients until the mixture is well incorporated. 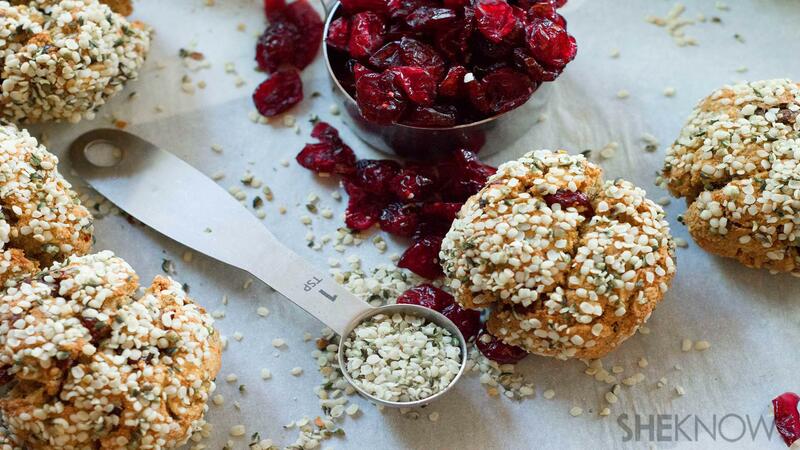 Using a medium-size cookie scoop or a tablespoon, spoon the dough onto the baking sheet, and sprinkle the tops with extra hempseeds. Bake the cookies for 12 to 14 minutes or until they are lightly browned. Be careful to not overbake. Transfer the cookies to a cooling rack, and let them cool for 30 minutes. Store the cookies in an airtight container for up to 4 days.